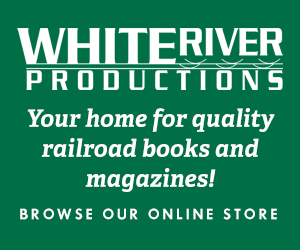 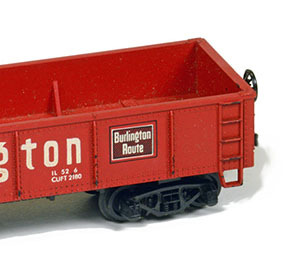 Rolling stock includes freight cars (like boxcars, flatcars, gondolas, hoppers, tank cars, and more), passenger cars (like baggage cars, combines, coaches, diners, pullmans and sleepers, observation cars, and more), as well as miscellaneous work equipment (like cranes and dump cars). 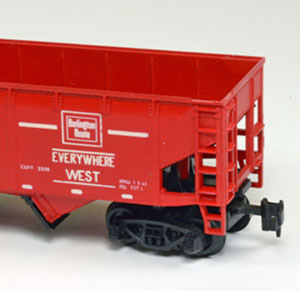 One of the most unique and interesting examples among American Train & Track’s collection of rolling stock releases was its container car model. 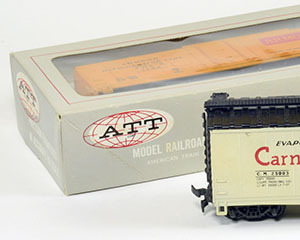 American Train & Track’s line included a pulpwood car produced by Tri-ang/Hornby in the UK. 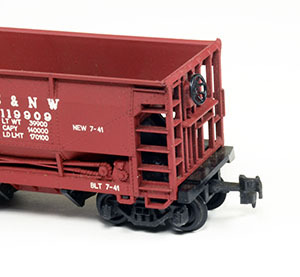 American Train & Track’s HO-scale freight cars included Roco’s 40-foot cattle car model. 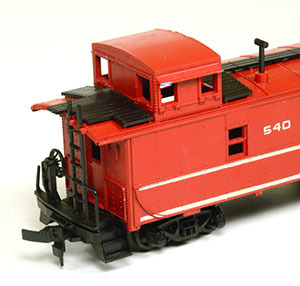 American Train & Track’s four-bay open hopper included separate bay gates that opened and closed. 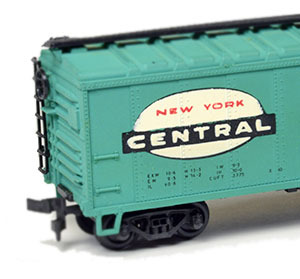 American Train & Track’s freight car offerings included this 40-foot steel gondola model. 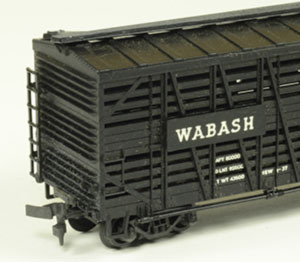 Another Roco-made freight car from American Train & Track was this 40-foot sliding door boxcar. 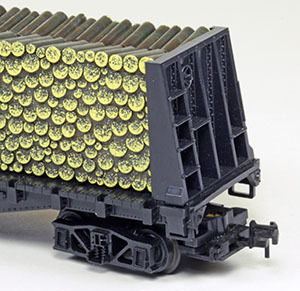 Ideal for 18-inch radius curves, American Train & Track included this ore car among its HO-scale freight car models. 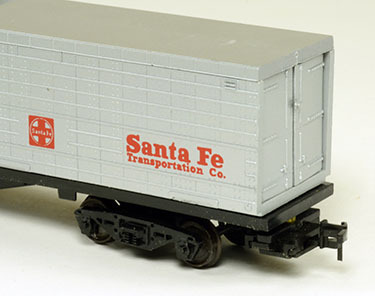 Produced for American Train & Track by Roco in Austria, this 40-foot plug door sold as AT&T’s Reefer. 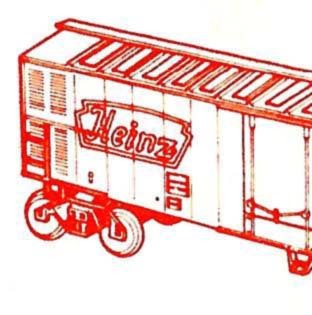 Part of Lionel HO’s 1970s offering was this mechanical refrigerator car model.